I wrapped up my grandmother's tea cup collection and my mother's china, then grabbed a violin I'd hidden way back in my closet that made me cry, a gold necklace with a dolphin that my father gave me two weeks before he died of a heart attack when I was twelve and, at midnight, with that moon as bright as the blazes, I left Chicago. When Jeanne Stewart stops at The Opera Man's Cafe in Weltana, Oregon, to eat pancakes for the first time in twelve years, she has no idea she's also about to order up a whole new future. It's been barely a week since she succumbed to a spectacularly public nervous breakdown in front of hundreds of the nation's most important advertising and PR people. Jeanne certainly had her reasons--her mother's recent death, the discovery that her boyfriend had been sleeping with a dozen other women, and the assault charges that resulted when Jeanne retaliated in a creative way against him, involving condoms and peanut oil. Now, en route to her brother's house in Portland, Jeanne impulsively decides to spend some time in picturesque Weltana. Staying at a B&B run by the eccentric, endearing Rosvita, she meets a circle of quirky new friends at her court-ordered Anger Management classes. Like Jeanne, all of them are trying to become better, braver versions of themselves. Yet the most surprising discoveries are still to come--a good man who steadily makes his way into her heart and a dilapidated house that with love and care might be transformed into something wholly her own, just like the new life she is slowly building, piece by piece. As heartfelt as it is hilarious, The Last Time I Was Me is a warm, wise novel about breaking down, opening up, and finally letting go of everything we thought we should be, in order to claim the life that has been waiting all along. 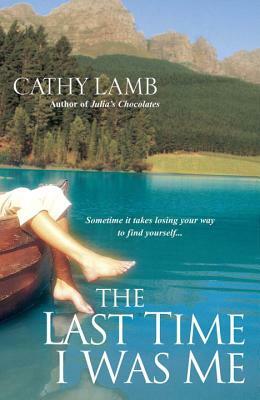 Cathy Lamb was born in Southern California and grew up in Oregon. The author of many popular novels, including Julia's Chocolates and Henry's Sisters, she writes full time and lives with her family in Beaverton, Oregon. Readers can visit her website at cathylamb.org.